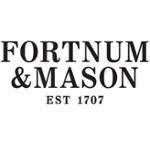 Fortnum & Mason started off as a distributor of rare and exotic tea leaves before expanding their base of operations and now offering teapots, foods and snacks from around the world, wine and spirits, as well as housewares and other gifts including home decor and accessories. Visitors to Fortnum & Mason will be encouraged to sign up for the free email newsletter that they publish, getting a 15% off coupon in return. Members also receive advance notification about upcoming sales and presale opportunities not available to others. Free delivery is available on all purchases of $50 or more. Customers can save upwards of 50% off or more on merchandise in the Sale section of the site.